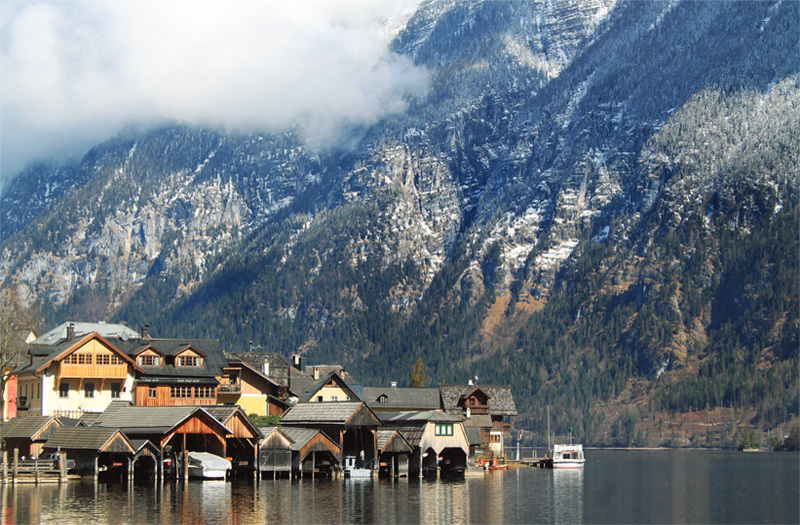 Hallstatt, a feast for the eyes. 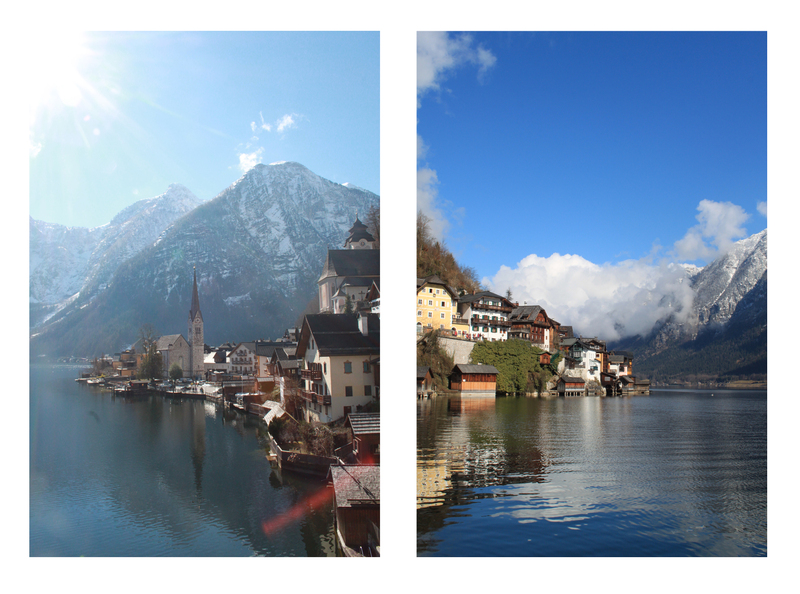 A place I could not stop taking photos of and the main reason my friend Jade & I went to Austria. Based three hours away from Salzburg, no tours running during our trip, not being able to drive and no clue how to get there…we decided we had to go! This was a bucket list moment and I’m so glad we did. So how to get there from Salzburg? Here is a break down plan of how we got there. We walked to the Salzburg HBF Bus & Train terminal from our hotel and caught the 150 bus to Bad Ischl Bus Terminal & Train Station. This bus took around 1 hour and a half. Around 20 minutes later we then boarded the train from Bad Ischl to Hallstatt (20 minute journey). 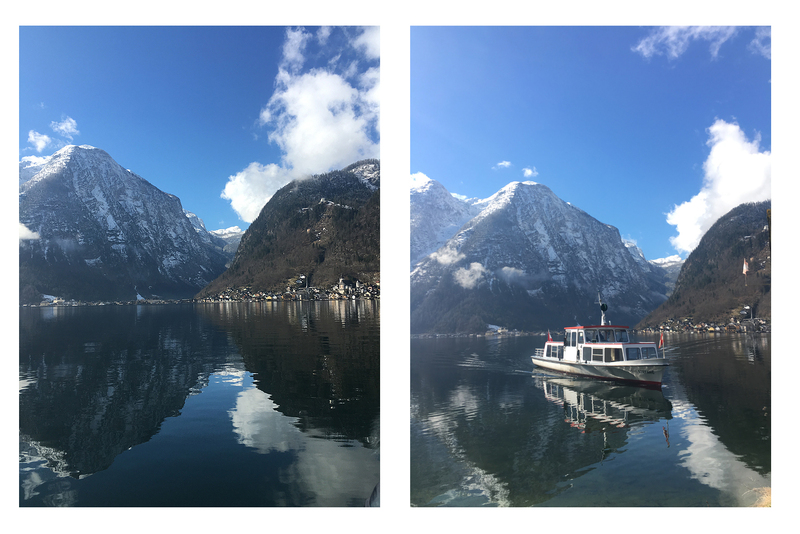 Arriving at Hallstatt train station, you then have to get the ferry over to the town. This is €5 return and comes around every 30 minutes and in sync with the train. 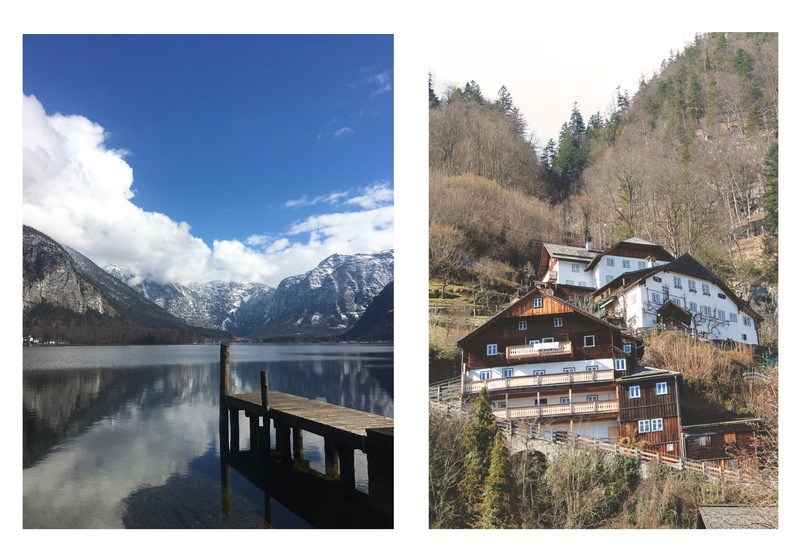 It is worth noting that this is the cheapest route to Hallstatt from Salzburg (and the most scenic) and it cost roughly €13 each, one way. I loved spending time in this little town! 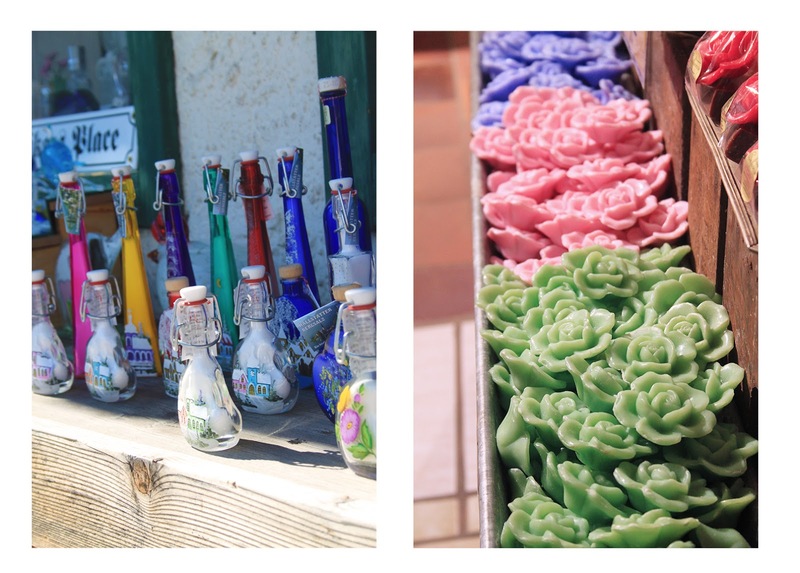 Not only was it beautiful, there was a variety of cute little shops. Most places sold Salt from the mines or home made soaps. The Salt mines were not open when we were there. (They are closed from November to April.) However, don’t worry, there is still plenty to do! We spent most of the day wandering around and even had Pizza in a place which was their super market, clothes shop, deli and restaurant! 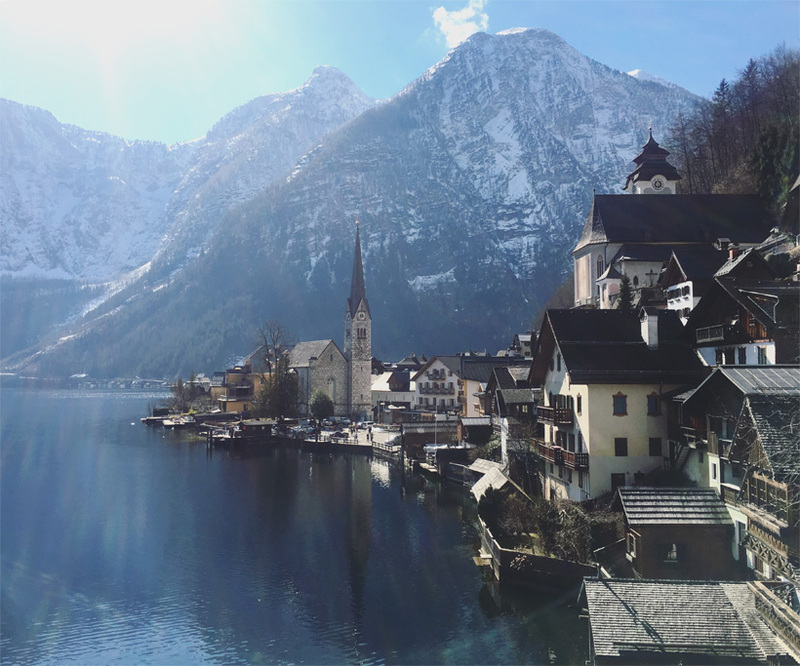 I would 100% recommend visiting Hallstatt if you are in Austria. Unfortunately I do not know the route from Vienna but I do know that it takes 4 hours. I hope my photos have made you want to go! Is there any place that is on your bucket list? Let me know! 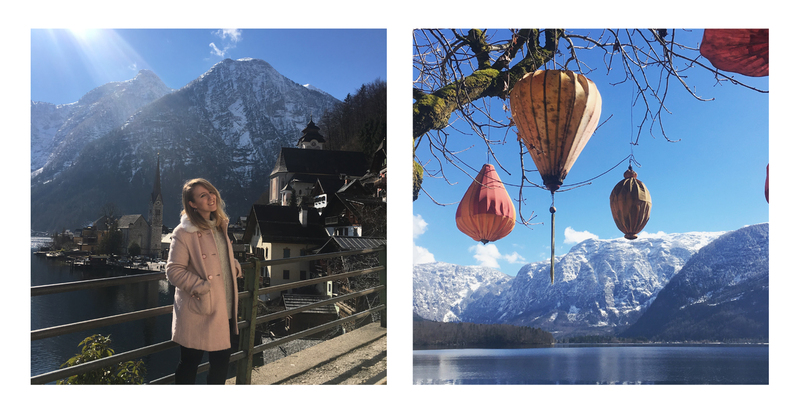 "MY GUIDE TO SALZBURG, AUSTRIA"